The chorizo gives the fishcakes a nice spicy twist, along with the cayenne pepper mixed in with the breadcrumbs. Any kind of salsa would accompany it well. I’ve gone with a classic tomato, pepper & basil salsa. These fishcakes are perfect for making the night before your meal. I served them as a starter for 5 of us one evening, there was just the right amount for 2 fishcakes per person and a generous amount of salsa! -Boil the potatoes in salty water for approximately 30 mins. At the same time poach the fish in milk for around 10 minutes or untill cooked i.e. the flesh becomes flaky. -Fry up the chorizo & onion in a tsp of the olive oil for 10 minutes. -Drain the potatoes and place into a large mixing bowl. Add a tbsp of butter, a splash of milk, some seasoning, and mash until smooth. -To the mixing bowl add the chorizo & onion. 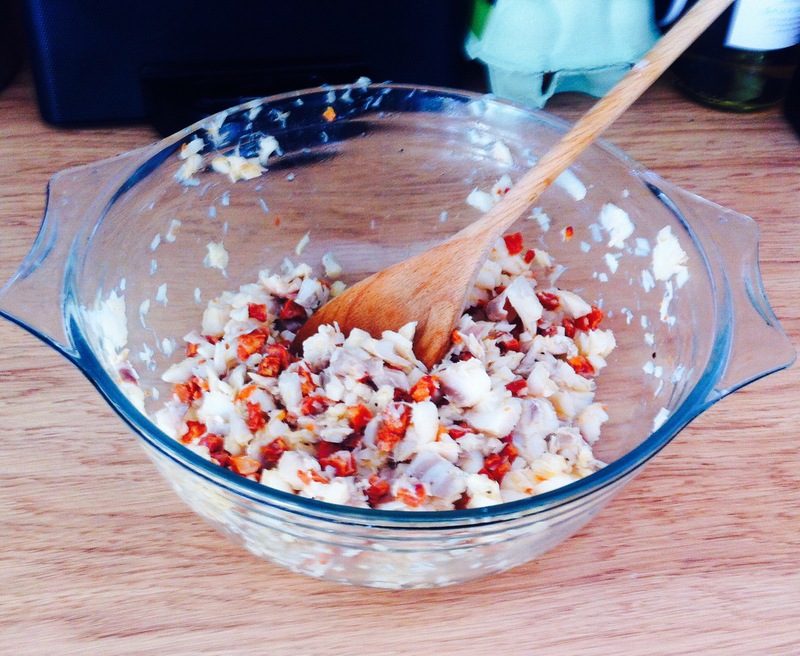 Remove the fish from the milk, crumble into the bowl and add the lemon juice and chopped parsley. Using your hands, mix everything together well. -Pre-heat the oven to 220 oC. -Assemble the mix into small round patties, you should be able to make around 10 of them, and place them on a large tray. -Place the flour in one bowl, 3 eggs beaten in another and the breadcrumbs with a tsp of Cayenne Pepper mixed in, into a third bowl. 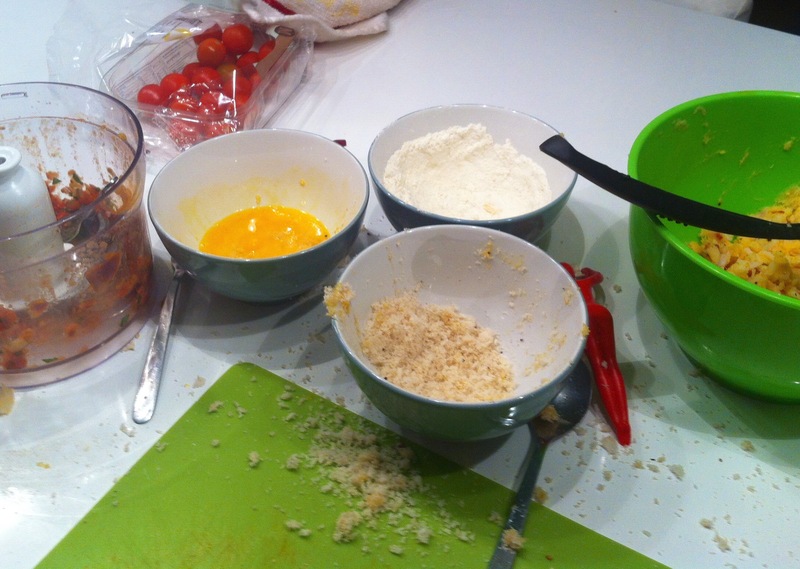 Dip each Fishcake into the flour ensuring its fully covered, then dip into the egg and finally the breadcrumbs. Repeat for each Fishcake. Cover with foil/film and put them in the fridge until you’re ready to cook. 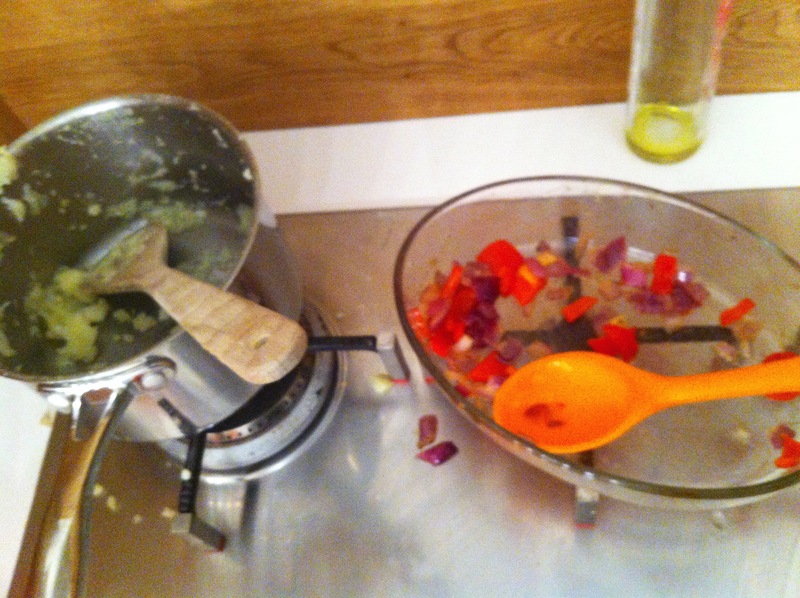 -In an ovenproof dish add the oil, green pepper, cherry tomatoes, red onion, garlic and mix well with some seasoning. Roast in the oven for 20 minutes. Remove from oven add the basil and blitz in blender for around 10 seconds. You still want the salsa to be chunky so don’t over blend. -Add the olive oil into a large frying pan, and heat over a medium heat. Place the Fishcakes carefully into the pan in batches, the batch number is dependent on how large the pan is. -Heat for approximately 5 minutes on each side or until golden brown. 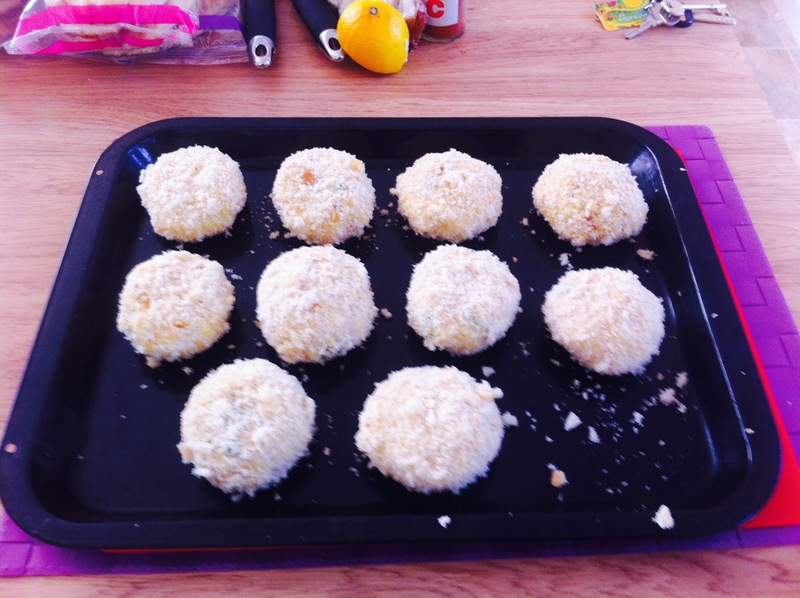 -Take the Fishcakes out of the pan and place on some kitchen roll to help absorb any excess oil. 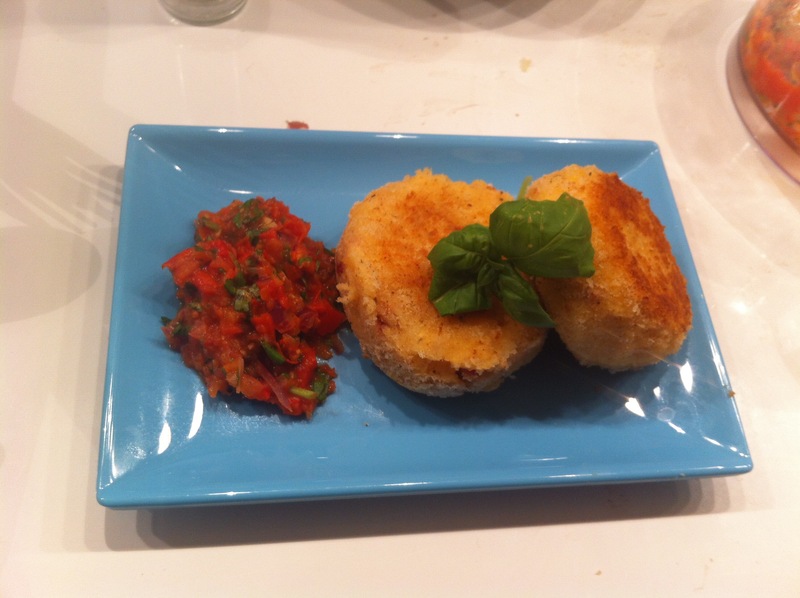 -Plate the Fishcakes up, adding some of the salsa on top or on the side and enjoy!